Best Way To Clean Carpet in Boulder, CO 80301. Hot water extraction or warm water extraction or steam cleaning ("External Extraction"®) is THE BEST WAY TO CLEAN CARPET according to nearly all carpet manufacturers. from BaneClean. See more articles like this at Cleancare of Boulder Articles. This method is the cleaning method nearly all carpet manufacturers and carpet fiber producers recommend. The maintenance brochure published by the world's largest carpet manufacturer, Shaw Industries, recommends this method, because its own research indicates that it provides the best capability for cleaning. From a health standpoint, the truck-mounted system is preferred because the dirty air and humidity are exhausted outside rather than re-circulated around the house. See truck-mounted carpet cleaning in action in this video. Additionally, truck-mounted systems usually are more powerful with much higher cleaning temperatures than portable units and do a much better cleaning job and get the carpet dry more quickly. Depending upon the equipment, temperatures may range from cold tap water to boiling hot water and even super heated water over 250 degrees F.
If carpet is cleaned before it becomes too unsightly, the cleaning chore will be easier and more successful. Allowing the carpet to become overly soiled may result in irreversible damage. It is a common myth that cleaning the carpet before it is absolutely necessary will cause it to get dirty faster. This goes back to the days when the shampoo methods were the most common and left behind a bunch of soil attracting residue. Carpet in a typical household should be professionally cleaned every 6 to 18 months depending upon the number of residents and/or pets, amount and type of activity, and whether the carpet is light or dark color. Find more info about the best carpet cleaning in Boulder here. The maintenance brochure published by the world's largest carpet manufacturer, Shaw Industries, recommends professional carpet cleaning over “Do-It-Yourself” because of the potential problems that can occur from using rental equipment - such as yellowing, over wetting, fiber tip damage, severe re-soiling, overuse of detergents, etc. 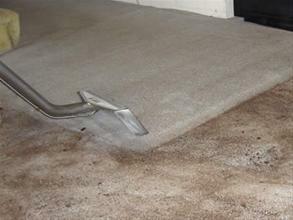 -Lack of power to heat the cleaning solution and adequately extract detergents out of the carpet. -Big box store all purpose cleaning chemicals not made specifically for carpet cleaning.